Tomorrow is near. CW’s new superhero series, DC’s Legends of Tomorrow, premieres this week and the network has released several new promos. The series premieres on January 21st, at 8 p.m. 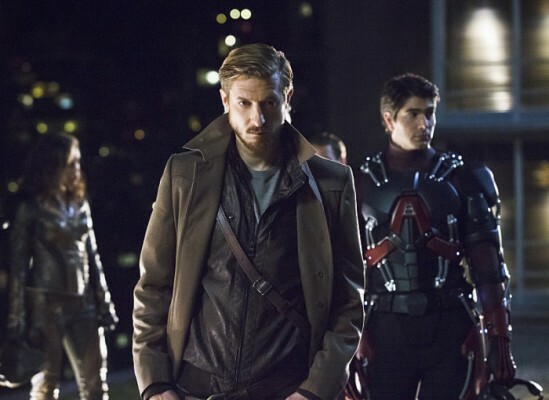 Legends of Tomorrow stars Arthur Darvill as Rip Hunter, a time traveler who brings a team of heroes and villains together in order to stop supervillain Vandal Savage (Casper Crump). Victor Garber, Brandon Routh, Wentworth Miller, and Caity Lotz also star. A couple weeks ago, The CW released a few character promos for the series. These new promos introduce you to even more characters, like Captain Cold (Miller) and The Atom (Routh). What do you think? Will you watch the premiere of DC’s Legends of Tomorrow? Who’s your favorite character so far?